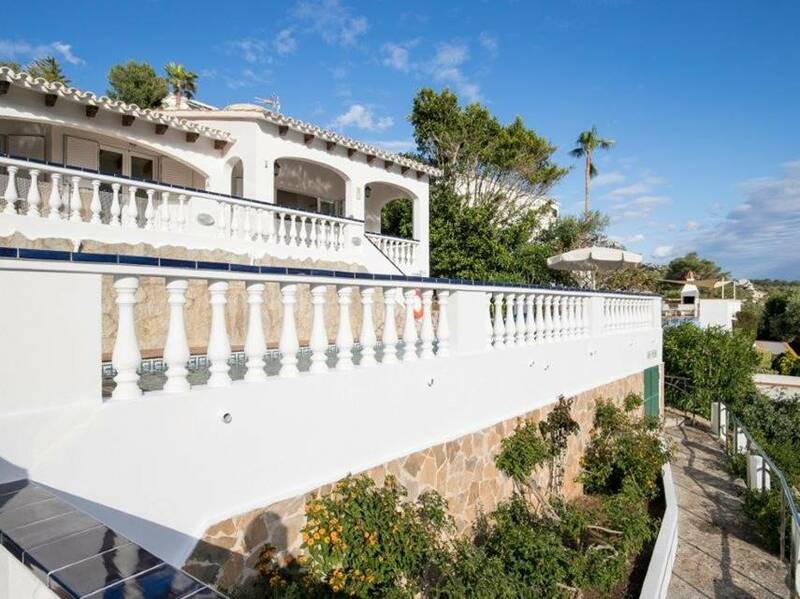 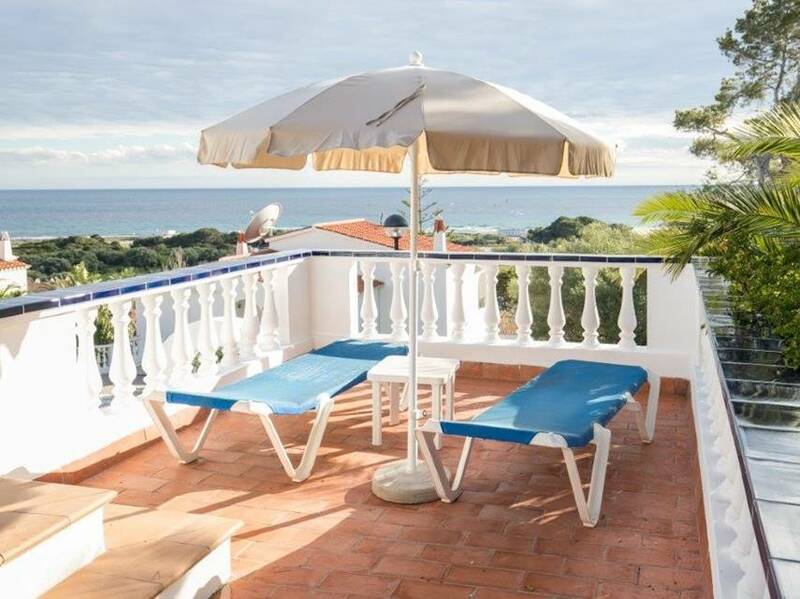 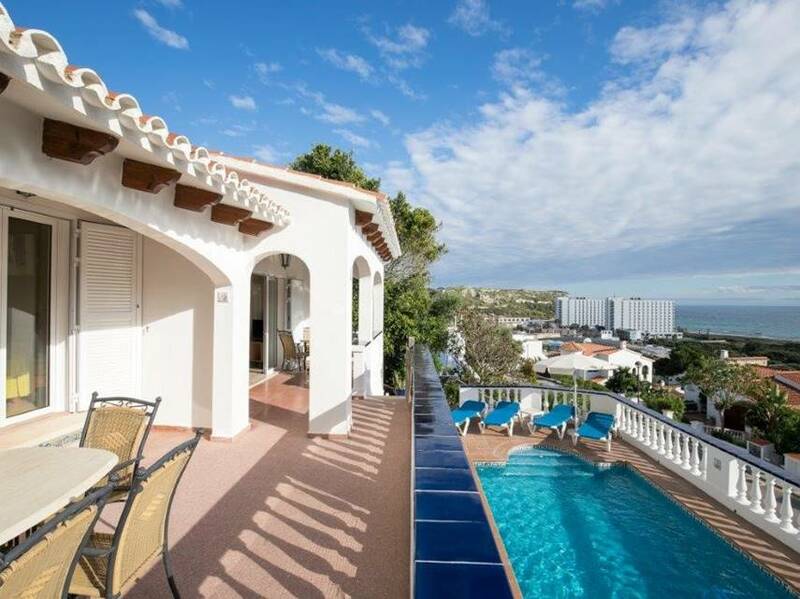 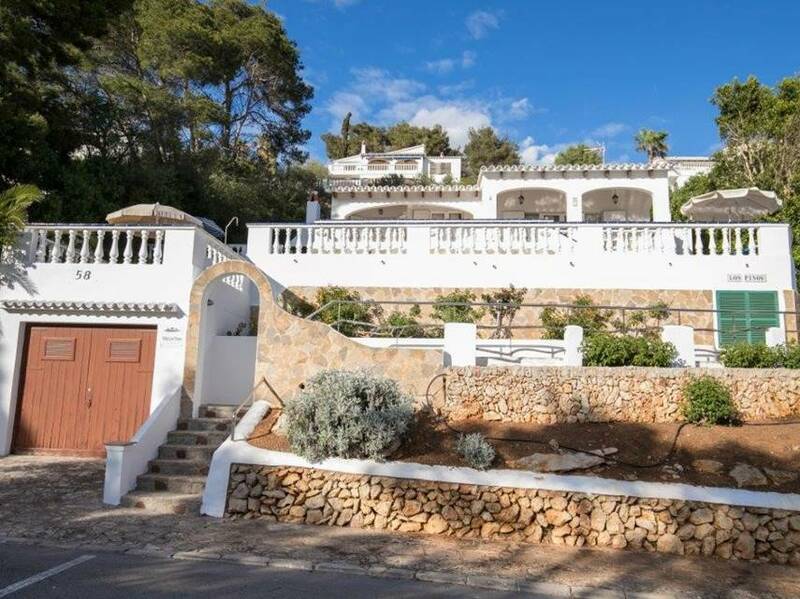 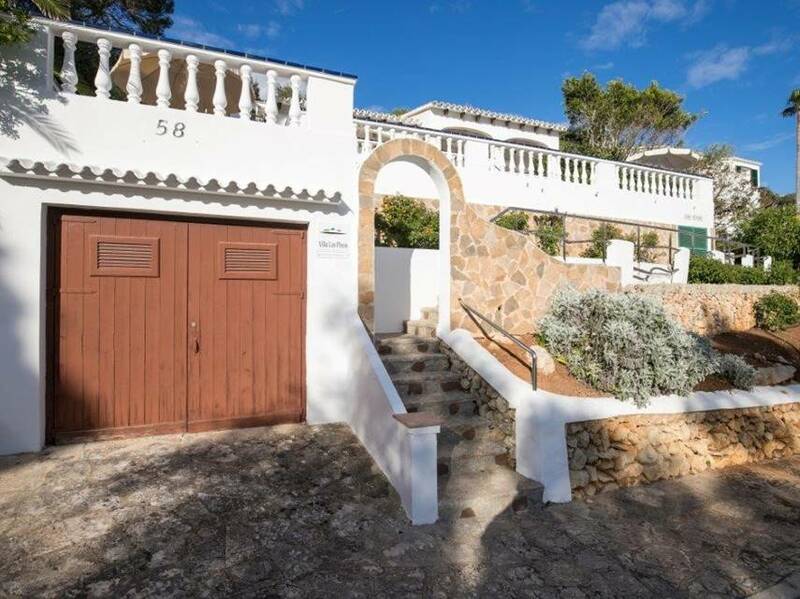 This beautiful three bedroom two bathroom Mediterranean style villa with sea views is ideally located close to the commercial centre and the beach of Son Bou. 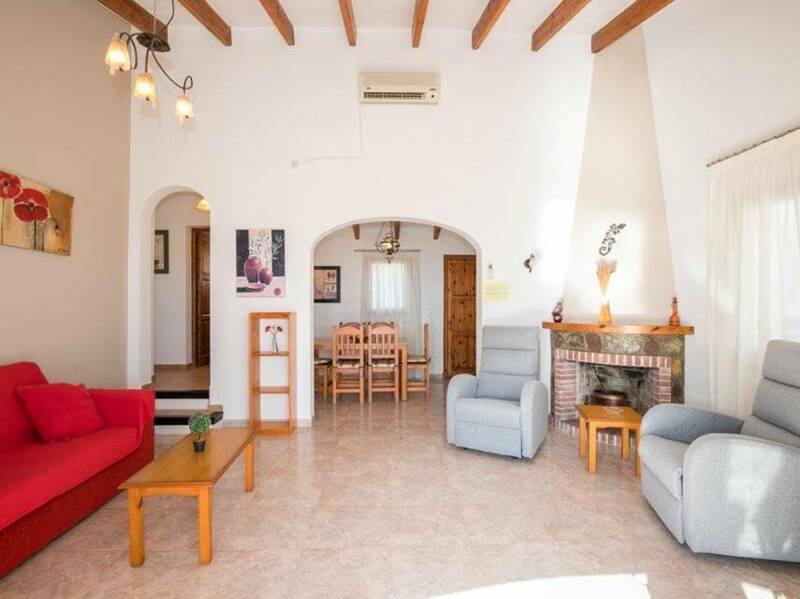 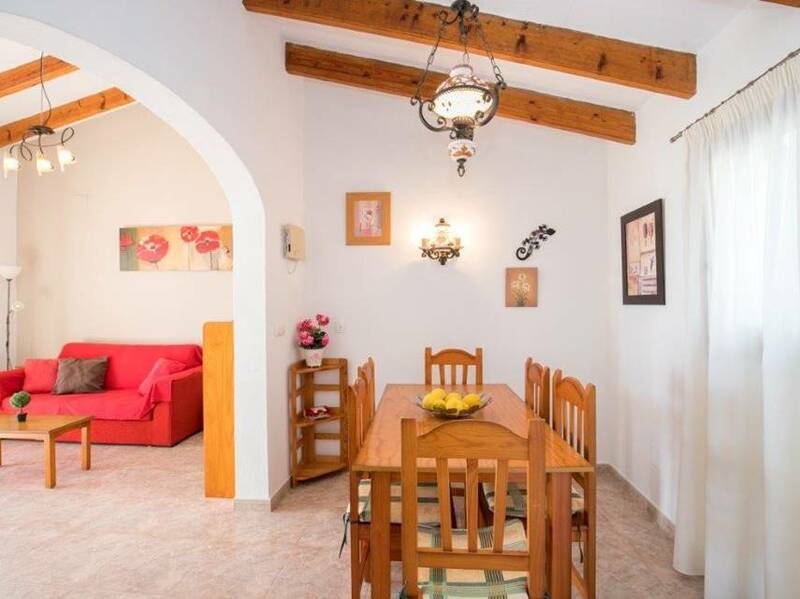 The property offers comfortable accommodation which is ideally located close to the resort centre with its many cafes, bars and restaurants and three supermarkets. 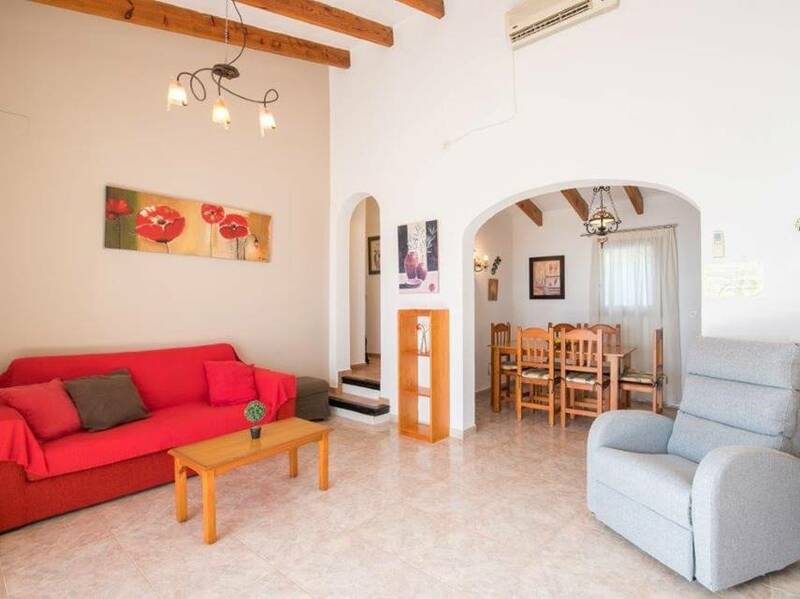 From street level 39 steps lead to the pool terrace and a further nine steps lead up to the villa entrance and into a bright open plan living/dining area and air-conditioned lounge which is comfortably furnished with sofa, chairs, coffee table, TV unit with Satellite TV (few English channels) and DVD Player. 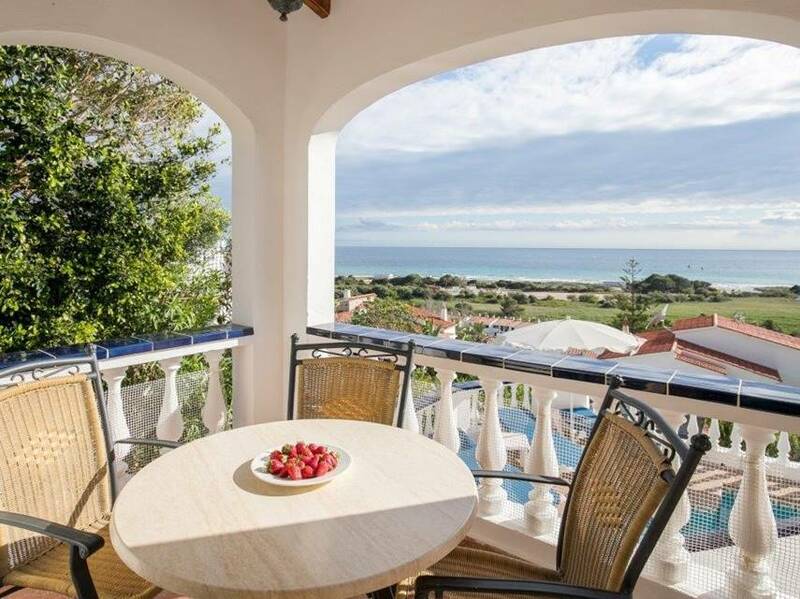 From the lounge, patio doors provide access to the upper covered terrace, with table and chairs for al fresco dining. 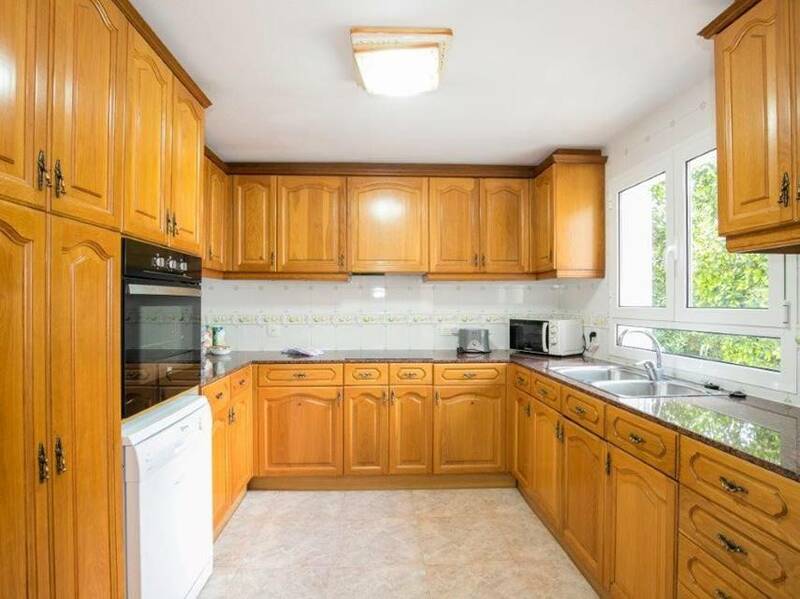 The kitchen is fully equipped for a self catering holiday with ceramic hob, built in oven, dishwasher, microwave and fridge/freezer. 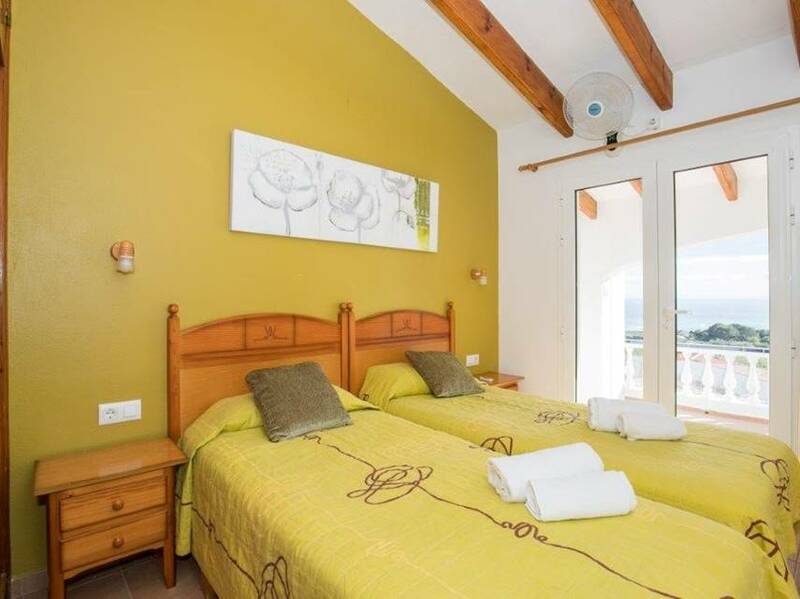 The master double bedroom has fitted wardrobes bedside cabinets and air conditioning. 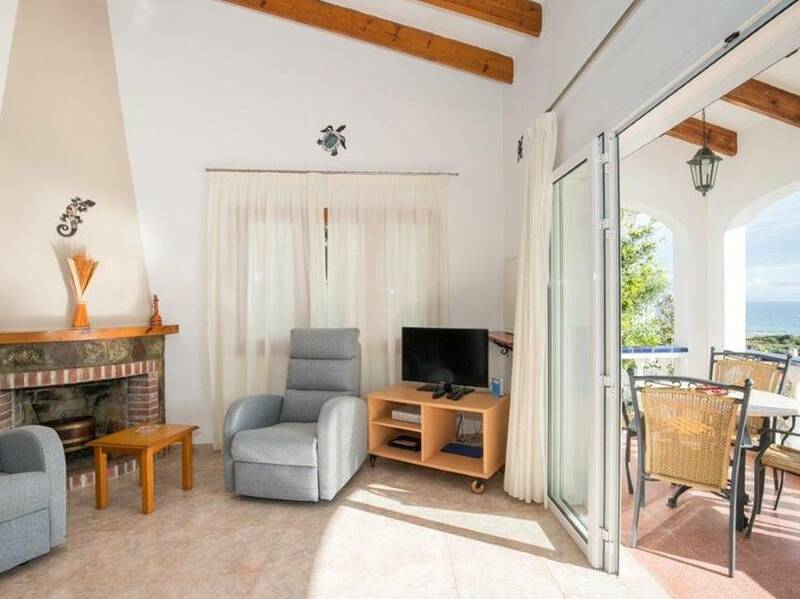 Patio doors open out onto the covered terrace with fabulous sea views. 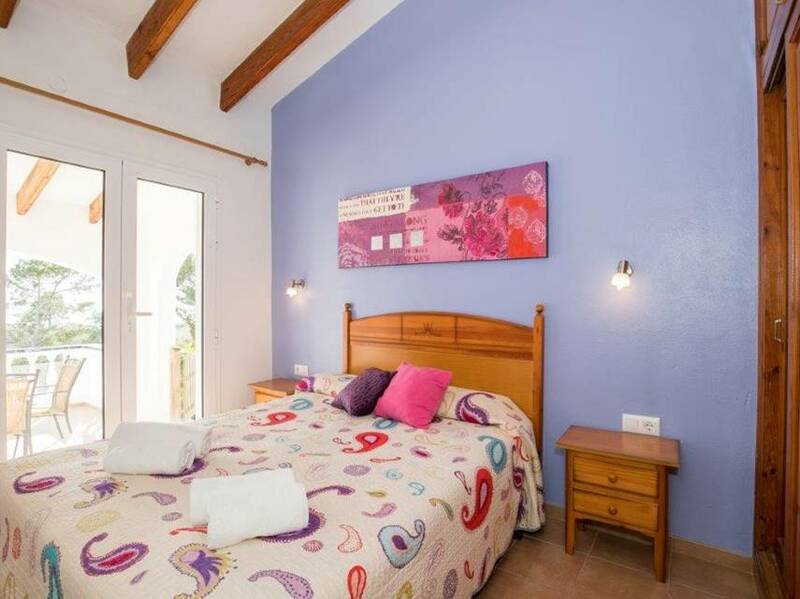 The two other bedrooms are both twin bedrooms, fitted wardrobes, bedside cabinets and mounted wall fans. 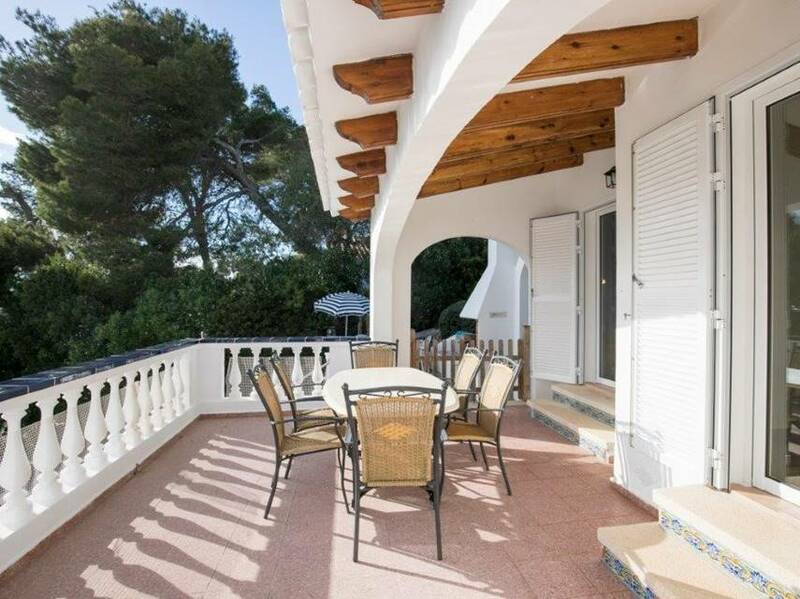 One of the twin bedrooms also has patio doors which open out onto the terrace area. 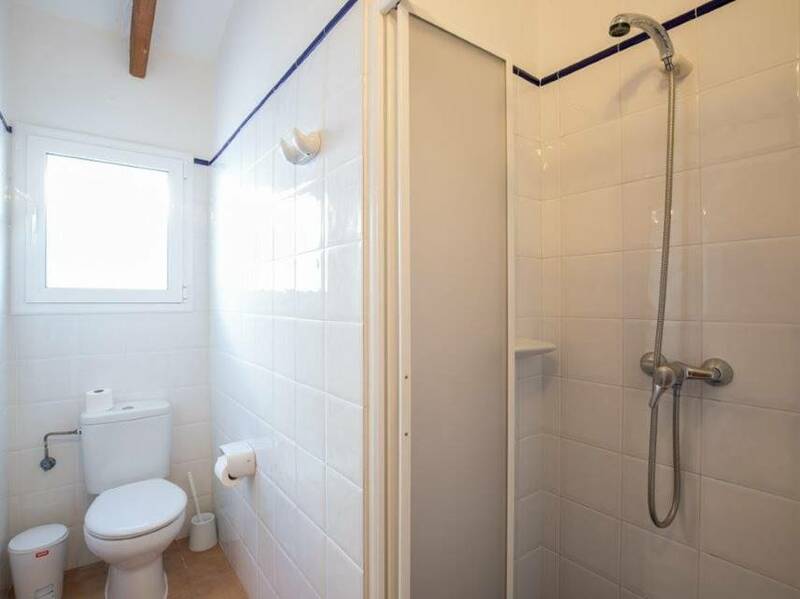 The villa has two shared bathrooms, one with a bath and the other with a shower. 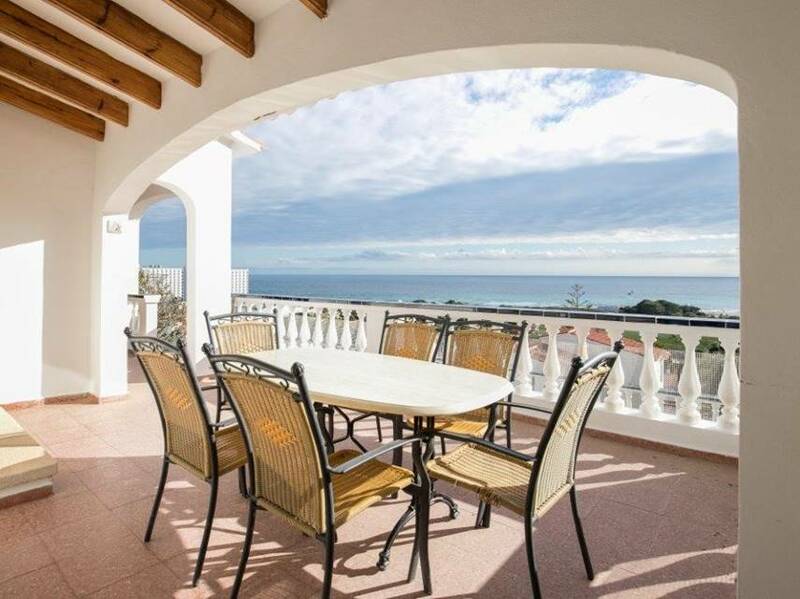 Externally there is a large covered terrace with several sets of outdoor furniture. 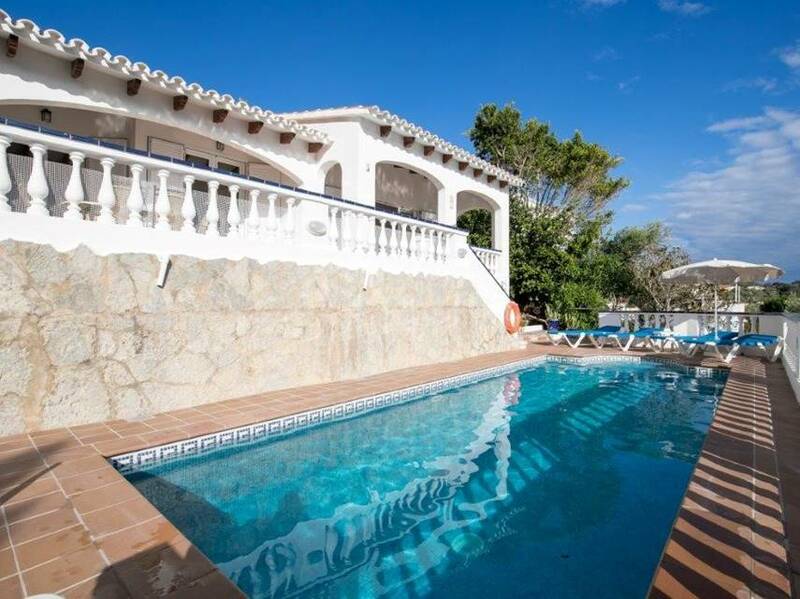 There is an 8mx 4m private swimming pool with Roman steps. 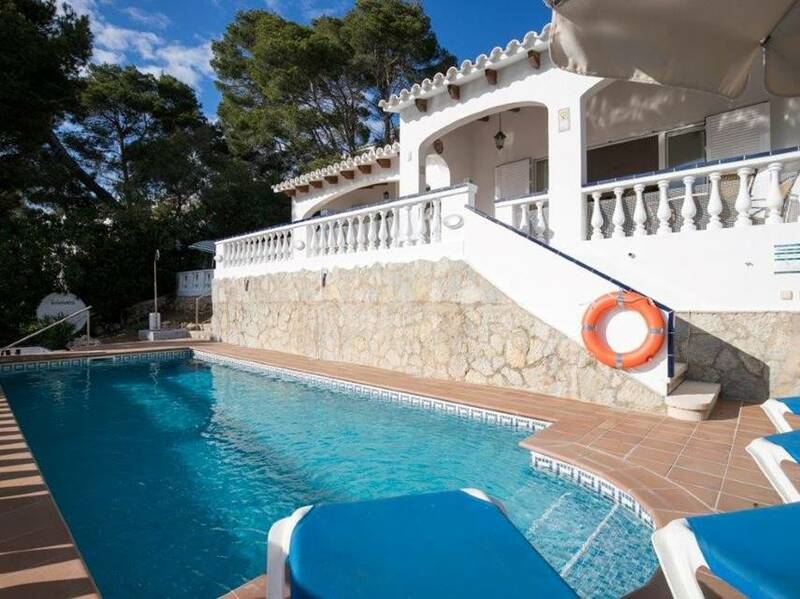 Poolside, there are sunbeds, parasols and an outdoor shower. 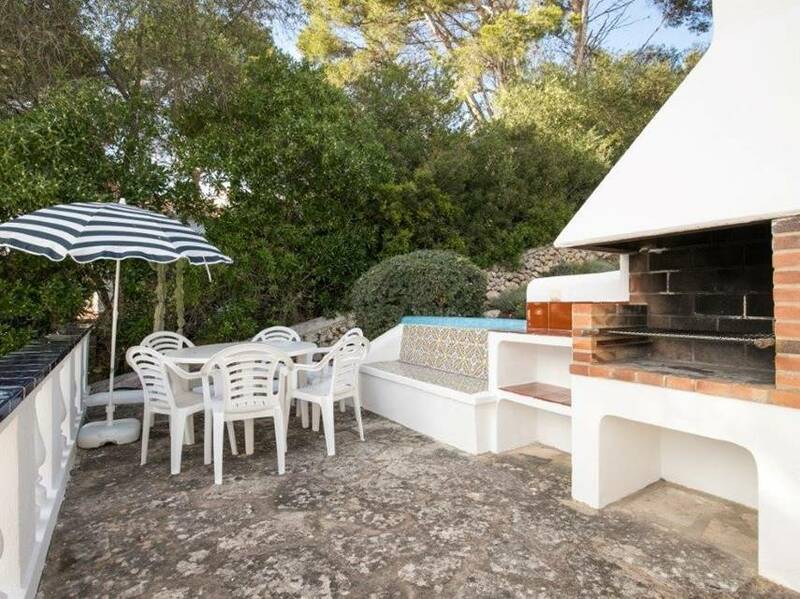 On the terrace above, there is also a brick built barbecue. 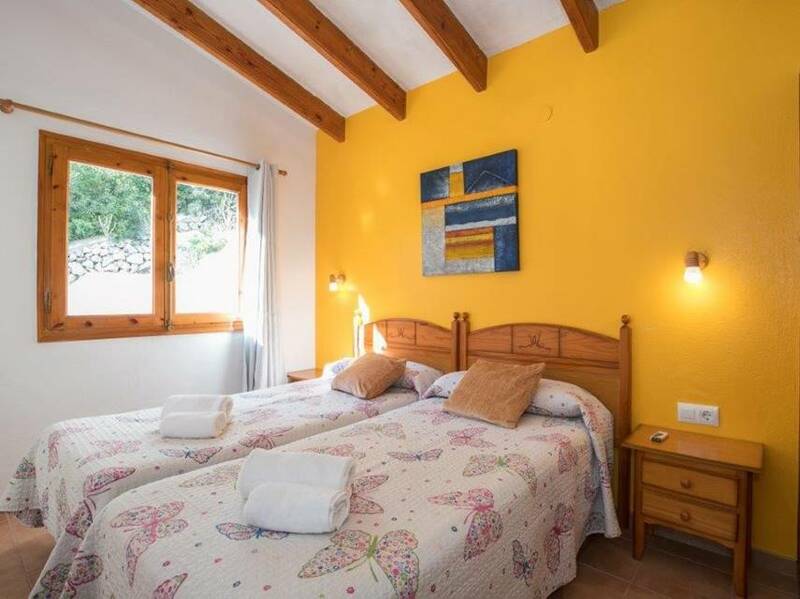 Optional Extras: Folding/Extra bed £67 per week, Cot (Including linen) £27 per week, Highchair £15 per week.